Winner of the CEW Beauty Insider's Awards 2010 for Best Men's Hero, the Anti-Age Eye Cream from Clinique for Men delivers intense hydration to reduce the appearance of dark circles and under-eye puffiness. Fast-absorbing and weightless, the soothing cream rejuvenates the eye area to banish signs of fatigue and minimise the look of fine lines, whilst shea butter and caffeine leave skin firmer, smoother and energised. E.N. Age Defense for Eyes is an adequate moisturiser for the delicate eye area. 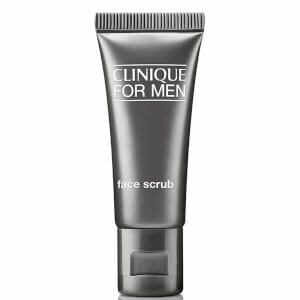 It does have quite a heavy texture, but does not feel heavy on the skin. However, I saw no improvement at all to lines, dark shadows or under-eye puffiness, which are often major concerns for most people. Great stuff. Easily absorbed and non greasy. Fine lines just seem to melt away after a few days of use. I found that this product made my eyes puff up, sting and water. I also saw no real improvement. I get quite dry skin around my eyelids and this stuff just makes the area around my eyes sting and dries them out further. I've used the nickel eye cream before and I will certainly go back to it.